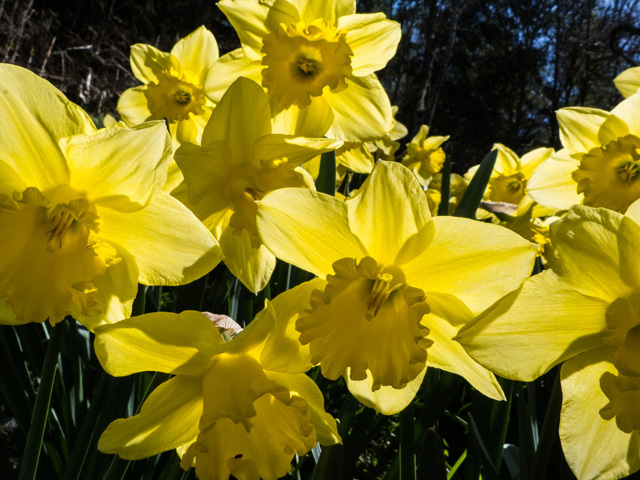 I was going to avoid using daffodils for my Monday Verse, because I’ve already posted a couple of pictures of them, but I’m afraid I’ve been seduced by their golden loveliness. I have to confess that I’m not a huge fan of Wordsworth’s daffodils, so I’ve chosen an extract from the Ted Hughes poem instead. I’m sorry that it’s a bit gloomy, but I think it’s a wonderful poem, and it deserves to be better known than it seems to be. Thank you for making it Ted Hughes … you are so right, the poem deserves to be much better known. And I happen to love him, so I’m quite happy! I think he maybe suffers from being known by many as the mean man who drove Sylvia Plath to suicide. Somewhat unfairly, I feel.